Despite Trump announcing a planned complete withdrawal from Syria in December there were at the last count over one thousand U.S. troops still remaining. That’s the official figure but it could easily be much higher. A similar situation exists in Iraq. Although Trump announced that ISIS had been defeated, a spokesman for U.S. forces in Iraq says that they will remain in the country for “as long as needed”. At the time of that report there were officially over 5,000 U.S. troops in the country. That was over six months ago and it’s not too far beyond the bounds of possibility that the numbers could have subsequently doubled. We cannot confirm the following but given the White House’s inconsistencies over Syria and Iraq it cannot be dismissed either. Ed. The Arabic-language al-Ma’alomeh news website quoted the head of Badr Organization’s office in al-Anbar province as saying that the number of US forces deployed in Ein al-Assad and al-Habaniyeh bases has increased to 10,000, adding that they have been supplied with the state-of-the-art weapons and military equipment. 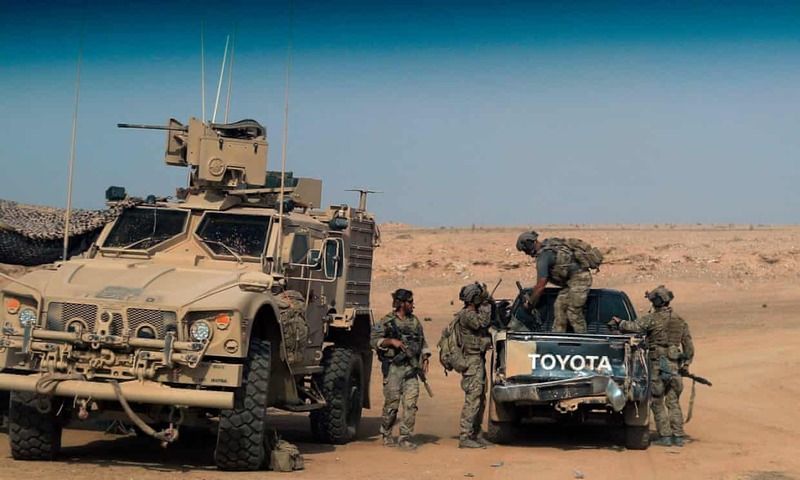 Relevant reports said last month that the American forces had established two military bases in al-Anbar province on Iraq’s international road close to the borders with Syria and Jordan as political groups and politicians are trying to expel the US military troops from their country. The Arabic-language al-Akhbar newspaper reported early March that the US forces had built up the first base on Baghdad-Damascus international road, formerly known as H3, while a second military center have been established to the South of the first base and South of the Baghdad-Amman international road, in addition to 13 other US bases spread across the country. It noted that the first base had practically started operation, but the second one was being equipped, adding that the Americans had also set up two other new bases in al-Ratbah region which might be intended to serve as new air bases. Reports about establishment of new bases in the region came as different political groups in Iraq were endeavoring to approve a bill in the parliament to expel the foreign forces from the country. Meantime, sources said that Washington was trying to gain control of Baghdad-Damascus and Baghdad-Amman international roads and the large amount of gas resources in the region in addition to monitoring the resistance pivot consisting of Tehran, Baghdad, Damascus and Beirut. 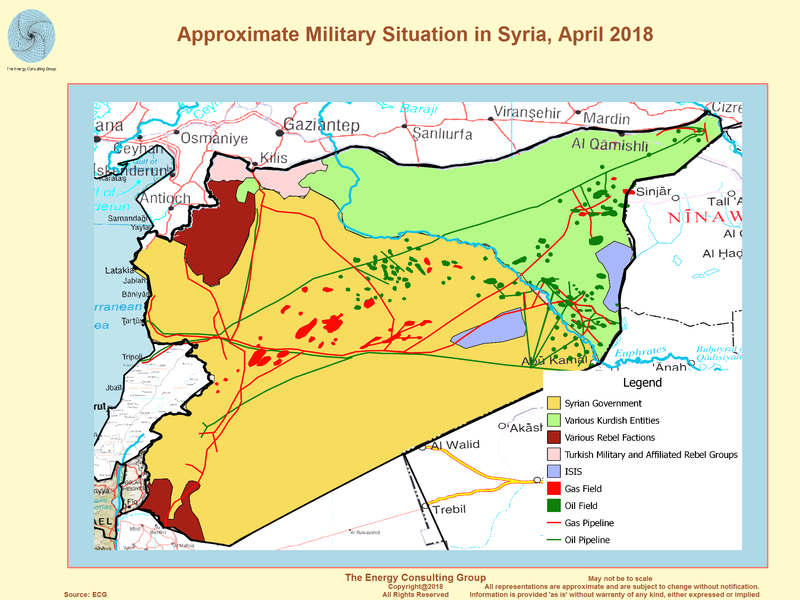 As has been well documented (at least outside of the USA it has), the control of Syria is split between the legitimate government and the US backed Kurds: Red Is the Legitimate Government, Yellow illegal US backed Kurds. Look very closely at that previous map. Note were the divide is, that river is the Euphrates, and where are the Americans? You know it is very interesting, that American websites don’t actually show where Al-Anbar is! And why do you suppose that is? Take a good look right here, Why do you suppose the Americans are here in the middle of the Iraqi desert? As you can Al-Anbar province borders Syria, you can see the Euphrates river at the top. 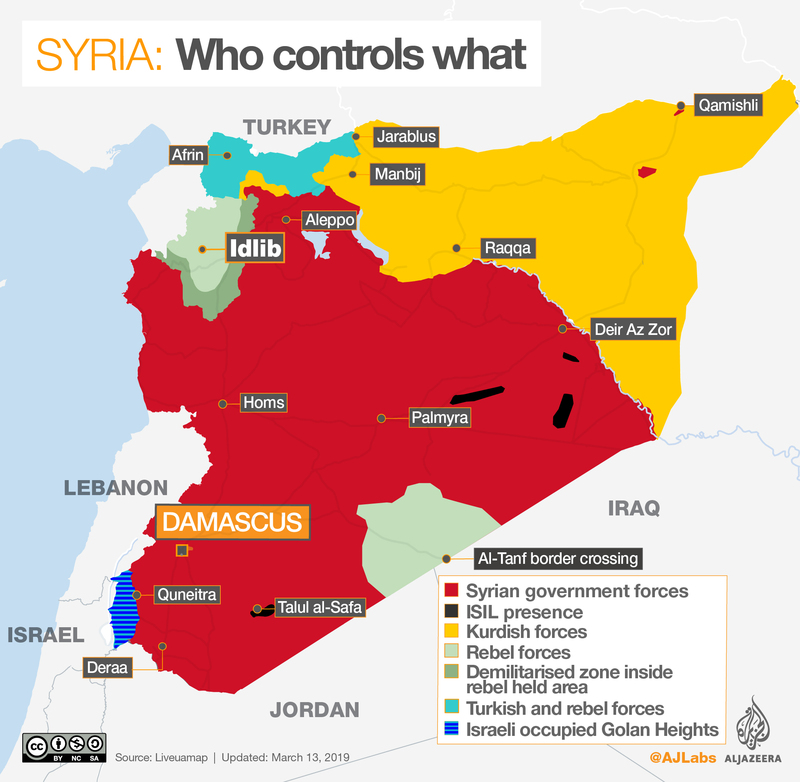 Now, you see the Kurds (yellow first map), have a problem. They don’t have any friends and are surrounded by hostile enemies. And why do you suppose that is? Could it be, because they force children to fight as soldiers in their wars? Kurdish force children to their soldiers! or could it be because they not only slaughter their own Muslim brothers, but also anyone that get’s in the way of their perverted desires If you’re not Kurdish then you’re an enemy: Christians are fair game for slaughtering too. So why on Earth would the great hypocritical nation of the United States of American want to help the Kurds by taking Al-Anbar province from the Iraqi government and bordering with Syria? Could it be for all the oil in Iraq? Well take a good look were majority of oil is in Iraq, As you can see its a little too close to Iran for the USA’s comfort (so much for US bluster against Iran), however, why steal oil from Iraq and have to worry about a formidable Iran, when you can work with Kurdish despots and pirates and steal oil from Syria, Look at all those oil fields in Kurdish hands just begging to be taken. That’s why the USA is in Al-Anbar province, to steal the Syrian oil, helping the Kurdish whom commit crimes against humanity by forcing children to fight, massacring Christians and another non Kurdish people, all to just get free oil. The thieving continues in the Middle East. The United States Of America should be put on trial in the Hague for crimes against humanity, and supporting hateful regimes like the Kurds. Notice how even the news media only tell half the truth. This half of the truth goes in the history books, but the other half of the truth, is where people suffer and die.